Sri Satya Sai Pharmacy Research Institute is one of the prestigious institutes in the field of Pharmacy. It is established in the year 2008 and having state of art facilities to cater the need of pharmacy curriculum.Our aim is to provide quality pharmacy education and develop the students as competent pharmacist and highly qualified dedicated professionals. We provide individual attention and care to our students and take care to develop their personality. We are not teaching them, we are guiding them to become skilled pharmacist as well as good citizen. Applications are invited for the posts of Contract Teachers in various University Teaching Departments on consolidated salary of Rs. 21,600/- p.m. The Qualifications required are as per UGC Regulation 2010, subsequently amended (AICTE norms for AICTE approved Programmes) prescribed for the post of Assistant Professor. Piramal Enterprises Ltd. provides a world class integrated drug discovery services platform from our state-of-the-art research Centre in India. PDS's delivery model has a proven track record of providing a step change in the effectiveness of drug discovery for a range of global pharmaceuticals and biotechnology companies operating at the forefront of drug discovery. PDS understands that early and intensive evaluation of the molecules based on thorough communications and rapid decision-making will lead to a high throughput of successful drug-like compounds. Dr. Reddy's Laboratories Ltd. (NYSE: RDY) is an integrated global pharmaceutical company, committed to providing affordable and innovative medicines for healthier lives. Through its three businesses - Pharmaceutical Services and Active Ingredients, Global Generics and Proprietary Products - Dr. Reddy's offers a portfolio of products and services including APIs, custom pharmaceutical services, generics, biosimilars and differentiated formulations. 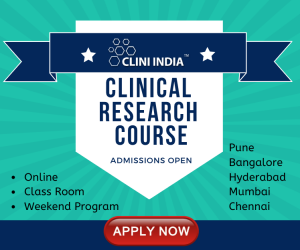 Major therapeutic focus is on gastro-intestinal, cardiovascular, diabetology, oncology, pain management and anti-infective. Major markets include India, USA, Russia-CIS and Europe apart from other select geographies within Emerging Markets. Modern Group is a leading group of premier institutes in Indore affiliated to Rajiv Gandhi Technical University (RGTU), Bhopal, Devi Ahilya Vishwavidyalaya (DAVV), Indore and is recognized by AICTE New Delhi , PCI & CBSE New Delhi. 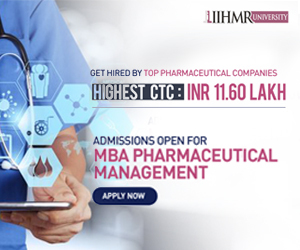 Modern Group is imparting quality education in the field of Pharmacy, Management, and Education. We offer more than six courses in these fields. Modern Institute of Pharmaceutical Sciences promotes and encourages the students to undergo Industrial training for better exposure to current practices of pharmaceutical production as well as practical applications of pharmacy education curriculum, so as to bridge the gap between Industry and Institute to upgrade their technical skills. Sri Aurobindo Institute of Pharmacy is one of the pioneer Institutes which imparts education in Pharmaceutical Sciences with allied medical college & Hospital and affiliated to Rajiv Gandhi Technical University, Bhopal, India. Sri Aurobindo Institute of Pharmacyis a leading pharmacy college in both education & research and the front runner in adopting innovations in pharmaceutical sciences. The college will continuously strive to be recognized in the region for offering a comprehensive pharmacy program of the highest quality that prepares students to meet the health challenges.The Institute has strong industry linkages in pharmacy sector and poised to face challenges of the pharmaceutical Industry and education.